I recently purchased some cables from Cable Chick and found the service to be amazing. Not only was the transaction easy and I was informed of despatch but the DELIVERY was the FASTEST I have ever had out of Aust Post. This is the information super-highway. Have you ever gone a week without sleep? It's not easy. It takes a serious toll on your body (and your mental state) but something it can be worth it for the right reasons (like massive parties). But what about your home or office PC? How frequently do you let it go to sleep? Not very often, I bet. And to top it off, you demand that it wake up instantly and perform countless complex calculations at all hours of the day and night! With that kind of stress on the system, you need to be sure that you give it the best possible chance of keeping up with the flow of information to and from its burgeoning hard drives and raging optical devices. A 50cm SATA Cable should do the trick. Especially since mine are top-op-the-line cables that meet the Serial ATA 3.0 standards and are shielded from EMI/RFI interference. The copper alloy contacts are house inside durable thermoplastic, so they can withstand the heat generated by today's cutting-edge computer components without a hitch. The narrow, flat ribbon shape also helps reduce airflow impedance, and the cable can handle the full 6.0Gbps bandwidth you'll demand from your hard drives. Whether they're in a desktop PC you use on weekends or a juggernaut server workhorse that never shuts down, they'll go the distance! Note: While SATA cables have not physically changed as the speed of hard drives has increased, and our cables are suitable for all SATA speeds (1.5 Gbit/s, 2 Gbit/s. 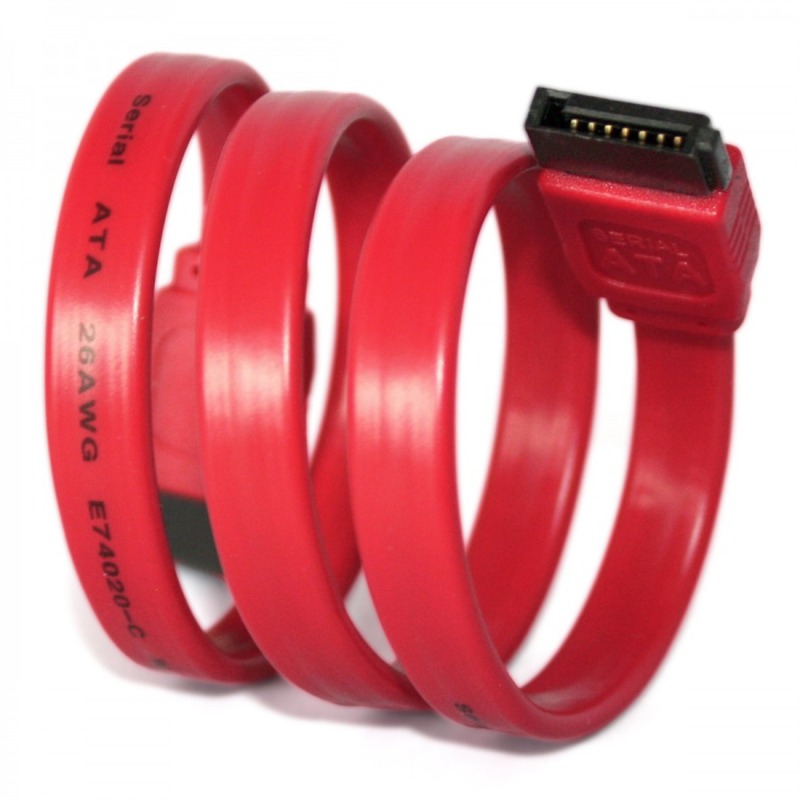 6 Gbit/s), we have not yet tested these cables at the new SATA v3.2 16 Gbit/s standard. I just want to say thank you to the Cable Chick for providing such great service and line of products. I buy all my cables, adapters and converters from the Cable Chick site, because theyre fast and have the most competitive prices (even after you add delivery charges!). In a recent home theatre PC build I found myself short of some connections for inside and out of the build. 3 x 45cm SATA Cable (SATA / SATAII Compatible) 1 x High-End 1.8M VGA Male to VGA Male 15 Pin Monitor Cable 1 x Internal Molex Power to Serial ATA Power Cable 1 x Pro Series 1m TOSLINK to TOSLINK Fibre Optic Cable I checked out my local electronics store and discovered they were selling the same VGA at 150 percent above the Cable Chick; it really was a no brainer. The Pro Series TOSLINK Fibre Optic cable really was professional grade, thicker than the one Id bought from the AV store when I purchased my home theatre setup. And to really cap off my purchase experience with the Cable Chick I scored some minties, a discount card on my next purchase and their freebie for the month, a set of colour coded Velcro cable ties  I used the ties to keep my rats nest of cables behind the home theatre setup in control. I wouldnt hesitate to recommend the Cable Chick to anyone! PS. If youre ever unsure about your connectivity needs, Ive found the guys at Cable Chick are more than able to assist with the right information. The delivery time is just outstanding, amazingly quick and hassle free, no complaints from me. Will continue to come back again and again. Thank You.